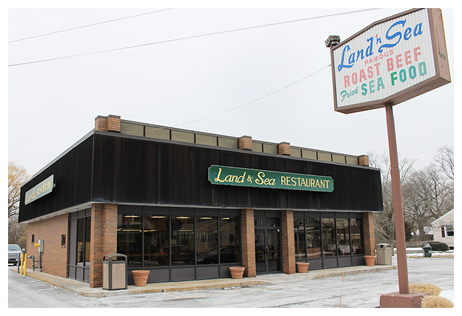 Land 'n Sea Restaurant has brought fresh, affordable, delicious seafood to Peabody, MA since 1972. As a family owned restaurant, we promise to serve your family with courtesy, quickness, and integrity. All our meals are cooked fresh to order. Whether you're looking for a filling sandwich at lunch time or a delicious seafood dinner, Land 'n Sea has the menu items to satisfy you. We offer everyone's seafood favorites along with more land-based fare like hamburgers, chicken kabobs, salads and our famous roast beef sandwiches. We also offer take-out if you are looking for a quick meal to take home.